After six years in the Wizard Council, Thordric's confidence in his magic has grown. But when High Wizard Vey - Thordric's superior and closest friend - goes missing, he faces his greatest challenge yet. 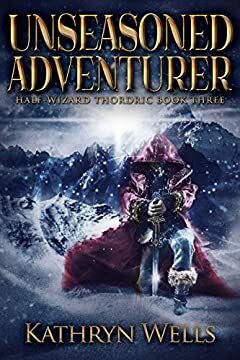 Trying to find a way to save him and also maintain order in the Council, Thordric ventures to the four countries surrounding Dinia to seek out other forms of magic. But his quest is far from easy, and dangers he never even knew existedÂ soon spring onto his path. This is a standalone novel, and can be enjoyed even if you haven't read other books in the series.